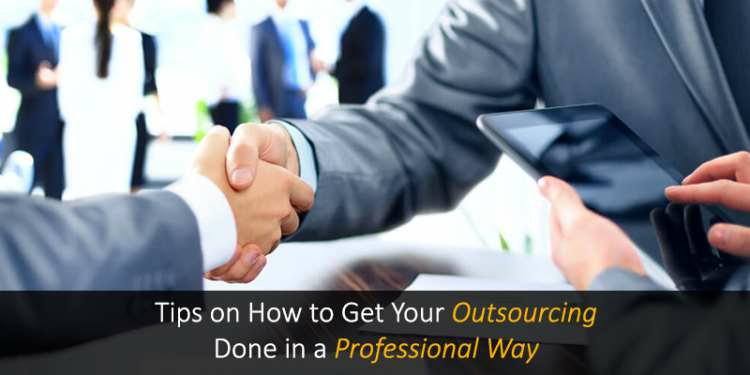 If you wish to walk the outsourcing and freelancing route for your work projects, then it is essential for you to understand how to handle the outsourced tasks professionally. With numerous online platforms in existence, it is easy for you to get easily carried away when searching for a reputable freelancer to hire. Some of the best freelancing sites like Vulpith, of course, put the necessary facilities in place to ensure that both the client and the freelancer maintain a high level of professionalism when engaging in outsourcing transactions. It, however, behooves you as a client looking to patronize the expertise of a freelancer to do what’s necessary to facilitate a smooth process successfully. There are things that you must do and steps you mustn’t fail to adhere to, to make sure that you actualize your goal of smoothly running your business operations. It is also important that you facilitate a fruitful collaboration with the hired expert. Whether you’re dealing with freelancing agencies or surfing through the best freelancing sites, you must put on the cloak of a professional freelance recruiter and stick to the tips briefly explained below. With hundreds of freelance platforms now scattered across the internet, it can be indeed difficult to find one that will be perfect and be able to deliver everything you need to outsource your tasks successfully. Whether it is web design, web development, content writing, copywriting, SEO implementation, app development, or even digital marketing, the ideal freelance platform should provide you with the necessary tools and facilities that will not just oversee the outsourcing process but will actively participate till its completion. Vulpith, for example, ensures that clients and experts looking for freelancer jobs online can meet within its secured platform to interact, negotiate, assign, and execute various kinds of tasks. Whether it is any of the freelance IT jobs or a simple virtual admin task, the Vulpith platform provides a comfortable environment for both parties to work hand in hand to produce excellent results. Lots of freelance platforms, including the popular ones, barely look professional with the influx of self-acclaimed freelance experts that don’t know how to perform basic freelancing tasks. Vulpith, however, eliminates the presence of such users on its platform by adhering to a strict vetting policy. When assigning a task to a freelancer on a freelancing platform, it is critical for the success of your project to be as transparent as possible regarding the primary goals of the task. Being vague with the instructions that you share with the freelance expert, isn’t going to help him/her execute the job efficiently. As a client, you must exhibit professionalism by clearly stating what the goal of the assigned task. The freelancer shouldn’t only know the exact outcome you’re expecting but also every step he or she is expected to take to achieve the result. You should document the goals and objectives of the assigned task into a carefully prepared brief that details every component of the work and all that is needed to complete it correctly. It is often smart to have all the information about the job made available even before selecting the best freelancer for it. Doing so reduces the amount of time that you will have to spend explaining the hired freelancer. It doesn’t matter if it is a web design or blog content assignment, you must endeavor to participate in the entire process and collaborate with the freelancer to deliver the best outcome. But, this is not an excuse to boss around the expert since most freelancers do not tolerate if you tell them what to do authoritatively. You’re, however, meant to guide the freelancer by providing a map, so to speak, to ensure that they can easily navigate to the path to the desired outcome. Some innovative freelance platforms provide specific tools to help foster client-freelancer co-operation and guarantee the successful completion of the task. Vulpith, for instance, allows clients to procure Cloud Workspace for the freelancer handling their responsibilities. The innovative tool ensures that the work area, where the executed task is easily accessible to both the client and the freelancer on any computing system located anywhere in the world. The uniformity that is generated using Cloud Workspace ensures that collaboration between the two parties doesn’t turn out to be disruptive. As you begin to develop some level of familiarity with a freelancer, perhaps due to a string of successful collaborations on different work projects, there may be an urge to nurture a more than cordial relationship with the person. This is not advisable as it may ruin the professionalism that has been set so far, which in turn can cause the quality of future results to suffer. It doesn’t mean that you shouldn’t have a good relationship with the freelancer; however, you should make sure that the professional boundary that you have both created, isn’t breached and that the dynamics of your established relationship always remain strictly professional. Strictly adhering to this practice will undoubtedly earn you the respect of the freelancer and ensure that you both can effectively contribute to the successful execution of each assigned task. Professionalism isn’t a trait that is restricted to the freelance expert since it takes two parties to complete an outsourcing transaction. You must try to act professionally as a client and create a standard that will hopefully be adopted by the hired expert. Failure to do this may ruin your outsourcing experience. While freelancing isn’t a conventional way to execute corporate duties, it can still be done competently if handled professionally. Here are the rules you must follow if you wish to handle a task assigned to a freelance expert professionally.